If you find a dog which has no obvious identification and it is uninjured it is often suggested that you are best to leave it to find its way home. If the dog is familiar with the territory it is not lost. Some dogs like to wander around their territory and some lazy owners let them. Beagles are great explorers, if they catch a decent scent, they will follow a trail for miles. A lost dog’s owner could be still looking and calling for hours after losing their hound. If you are afraid it may be run down you can attach a lead or a rope to it and let it take you to its home. This may take some time as it may not be in any hurry to go home since as far as it is concerned it is out for a walk! If the dog is injured take it to your local vet. The vet can treat it and check it for a micro-chip. Inform the local Police, giving them a description of the dog, where you found it and where it is now. If you believe the dog to have been dumped e.g. you found it on the motorway; you can take it to a local rescue organisation and ask them to check it for an ID micro-chip. They may also take the dog in as a stray but they may require paying to do so. Make sure you inform the police what you have done with the dog – don’t leave it to the rescue to do so. Many responsible owners will have their hounds micro-chipped and (by law) have a identity tag on their collars. We are always happy to advise you should you find a dog (of any description), please contact our National Secretary who will put you in touch with local agencies. 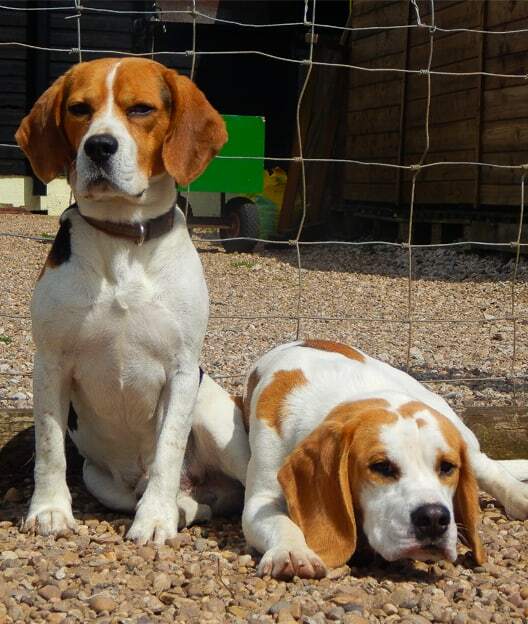 In the case of a found Beagle, the Charity has kennelling facilities and will endeavour to contact the original owners or start the search for a new home.